Here is a timely blast from the past. DisinformationWeek shares something that was already known. When you buy SUSE, you pay Microsoft. 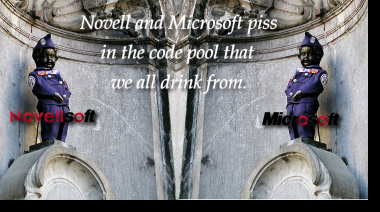 In fact, the Novell deal allowed Microsoft to make money from Linux distributions whose vendors did not even have a deal signed with Microsoft. 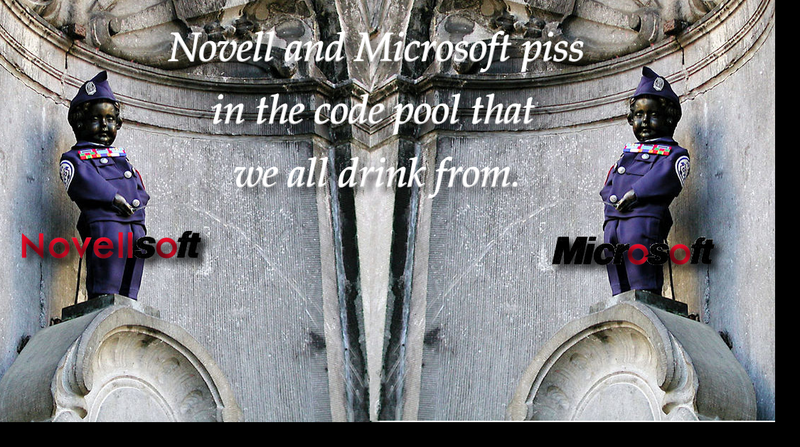 That alone should justify resentment and protest against Novell. Here is the short article that reiterates this fact. Evidence is emerging that Microsoft is making money, lots of it, from selling ‘certificates’ for Novell’s SUSE Linux. Microsoft gained the right to distribute the certificates a little more than a year ago under a marketing and technical alliance with Novell. So, while Linux — free software that competes with Windows — may still be a “cancer” for Microsoft, the company has found a way to profit from it. That’s a good trick . . . perhaps Microsoft should next enter the pharmaceutical market? Remember that Microsoft claims ownership of parts of Linux now. It calls that intellectual property, but it won't say what it actually is. Like a coward, Novell sacrificed not only its own soul. It essentially sold the blood of Linux and Free software as a whole. Yep, the most harmful part of the MS-Novell agreement is not the interoperability labs, but the patent part. As the Samba team showed us (not the mention other distributions that have worked just fine with Windows), interoperability was just a nicely-wrapped excuse. Ironically, part of that “interoperability” is OOXML support, i.e. suppression of ODF adoption, courtesy of Novell. M$ has bought the licenses a year ago, which you then regarded as a bribe to Novell (Thinking that M$ wouldn’t be willing or able to re-sell them?) – now we hear that they’ve re-sold them. Surprise! This is so non-news. Flogging a dead horse and so on.